It’s fun to create FUN early childhood themes to celebrate the cooler season. I created these scarecrow printables for the princess. She is only 2 but we will use it again next year. Here are a few scarecrow crafts to add to the printables: paper bag scarecrow, paper scarecrow, and several more here. Have you pinned the FREE scarecrow early childhood themes yet? Check out candy corn math and Fall Writing Prompts and Notebook Pages. « Get FREE eBooks Daily – 10/14! Those are really cute! I think my first grader might enjoy a few of them- thanks for sharing! LOVE fall! Thanks for linking up! 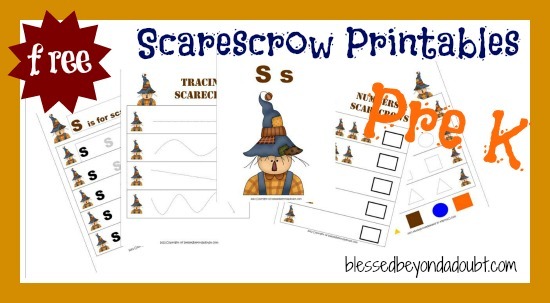 Love and am thankful for your sharing of the scarecrow free printables.